In life, a disaster can happen at any moment, whether it be a fire, flood, or even a terrorist attack. For businesses, any one of these events can result in a catastrophic loss if they cannot operate for a length of time. That is where business interruption insurance comes into play, providing coverage for a number of costs associated with closure due to a disaster or other loss. Business interruption insurance should be part of any comprehensive insurance plan as it can protect a business and help protect it from collapse in the event that something unexpected occurs that results in a business closing for any period of time. It typically covers lost or reduced income or profits after a loss occurs, giving most business owners the opportunity to recover from disaster and continue to build their company. 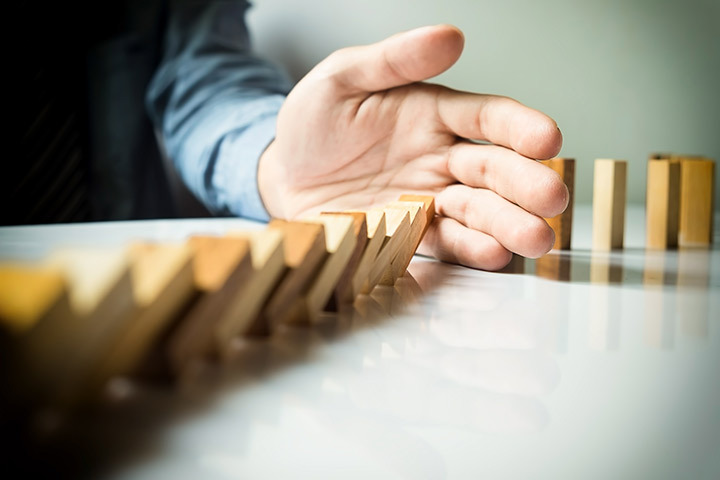 Businesses of all sizes can benefit from business interruption insurance, but it is important to understand what exactly this insurance is as well as what it covers and excludes. It is an incredibly valuable type of insurance coverage, provided that a business is insured appropriately. This article explains the essential functions of business interruption insurance and what you need to know about obtaining coverage for your company. Imagine that the building next to your office has a fire, and your space suffers significant damage as a result. Or consider what would happen if a tornado hit your town, leveling your business as well as the surrounding areas. General liability insurance will likely pay for the damage to your property, but how will you stay afloat while your office or factory is being restored? With business interruption insurance, the answer is simple: your insurance policy will provide you with income for the period of time that your business is closed due to a covered loss. Business interruption insurance differs from general liability insurance because it does not cover physical damage to your property, equipment, or goods. Instead, its focus is on the money that a business has lost due to an interruption in its operation. While your business is closed, business interruption insurance will pay you for the lost or reduced income or profits as well as most of your employee payroll for a set length of time. It will also cover expenses that you are required to pay while your premises are unusable, such as rent and utilities. In addition, business interruption insurance will compensate you for other reasonable costs that you incur, such as the expense of moving to and setting up a temporary location until your property has been restored. Most business insurance policies provide coverage for a partial loss. That is, if a business is not fully closed and can still operate on a limited basis, the insurance policy will compensate the company for the reduction in income or profits until such time that the business can restore full operations. However, some policies exclude partial closure from coverage, and will stop paying as soon as a business is able to re-open, even if it is on a limited basis. Coverage kicks in whenever a covered loss occurs, which could be any form of disaster that closes your business and is not specifically excluded by your policy terms. Typically, there is a waiting period before the policy begins to cover your losses, which is usually measured in hours. For example, coverage may not start until your business has been closed for 72 hours. Coverage ends as soon as the insured business is able to reopen. There is usually a limit on the total amount of money that you can receive from a business interruption insurance policy, which may be in the form of an absolute dollar limit or a cap on the amount of money paid out in a specified time frame. Make sure that you have thoroughly reviewed the terms of your business interruption insurance so that you understand exactly what is covered and the limits of your coverage. What Is A Covered Loss? While each policy is different, as a general matter, business interruption insurance covers most forms of natural disasters and other crises that lead to a closure of your business for any length of time. This could include fires, earthquakes, tornados, hurricanes, rainstorms, or even a water main break. The key to coverage is that the type of loss is not specifically excluded by the policy and that the business has been closed for the specified length of time. For example, if a massive snowstorm closes down a metropolitan area for a week, causing road closures, power loss and even building damage, an affected business could likely get coverage for the time that it is closed as long as it meets the minimum time threshold for closure. If coverage begins after 36 hours of closure, then a company being closed for a week would qualify. But if the policy requires closure for 72 hours, and a power outage causes the business to close for 71 hours, the insurance policy would not cover the lost income during that time. Perhaps the most well-known example of the use of business interruption insurance occurred in the aftermath of the terrorist attacks of September 11, 2001. Even businesses that were not physically damaged by the attacks were forced to close for safety and security reasons. This resulted in massive losses to the businesses affected by the attacks. Ultimately, business interruption insurance paid out approximately $100 billion to these companies. In contrast, insurance companies paid out $24 billion for property damage. This shows the importance of business interruption insurance for companies of all sizes and types. Without this coverage, many of the businesses impacted by 9/11 would have been forced to close. Business interruption insurance typically only provides coverage for those items that are covered by your general liability policies. If a type of loss is not covered by your other insurance, it is unlikely that you will be able to obtain business interruption insurance for that loss. This limitation makes sense. If a business does not have coverage for flood damage, for example, then it could be closed for an extended period of time while the owners attempt to put together the money to repair the premises. Requiring that a business have a particular loss covered by general liability insurance before business interruption insurance is one way of making sure that the closure does not continue for an unreasonable period of time. The amount of business interruption insurance that you need will depend on how your business would be impacted by closure. To determine this figure, a company must carefully examine its current financial situation as well as the likelihood of closure due a disaster. The first step is to calculate all of the costs that you would be required to carry if your business had to close for a period of time. This could include loan or lease payments, car payments, taxes, insurance premiums, and any other expense. It may also include the cost of keeping skilled employees on the payroll. Next, use your financial records to determine the average profit or income that you would lose for each month of closure. This amount is necessary in figuring out what level of coverage you need, and should include an evaluation of your company’s ability to stay open on a limited basis in the event that the physical office space is closed. For example, if you own a law firm, it is possible that you could work from a home office if your physical office had to close due to disaster. If you operate an auto body repair shop, you will likely be unable to perform any work without access to your equipment and garage space. After you have an idea of your costs and potential lost profits, think about the likelihood of a loss, the most likely type of loss that you would experience, and the length of time that it will take to recover from a loss. For those businesses located in a coastal region, hurricanes may be a relatively common occurrence that will lead to a high possibility of closing down your business. If other businesses in the area will be impacted by a natural disaster, like a tornado or earthquake, it may take longer to restore your business as you compete for limited resources. Evaluate the availability of alternative commercial spaces, and whether your premises has any precautions to mitigate the effects of a loss, such as a sprinkler system. These factors should all be analyzed when determining how much business interruption insurance you need. Business interruption insurance can be a lifesaver, and may mean the difference between staying open and closing your business permanently. Since disaster can strike anywhere and at any time, most companies would benefit from some level of business interruption insurance. The exact amount of insurance will depend on a variety of elements, including your company’s finances and the possibility that a loss will occur. A BBG benefits consultant can assess your business’ needs to ensure that it has sufficient coverage for business interruption and all other types of losses. Contact The BBG today for more information.